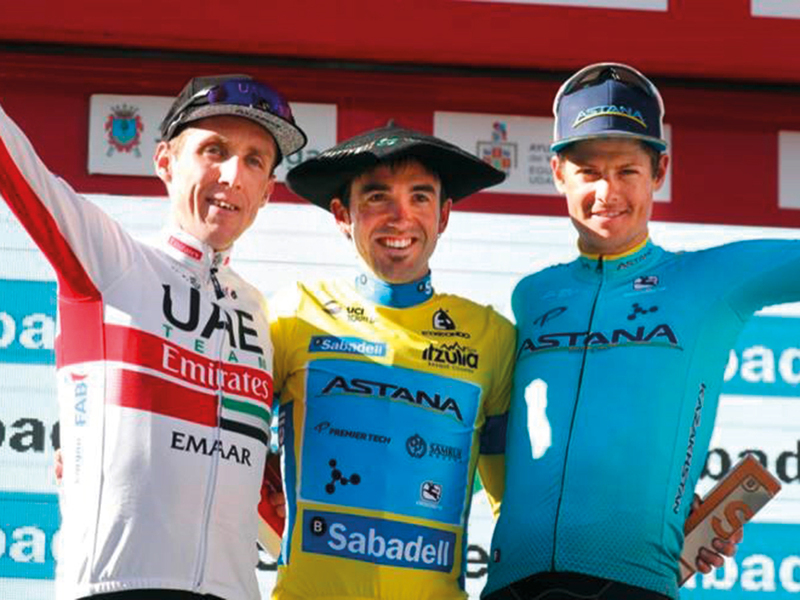 Abu Dhabi: It continues to be a mesmeric month for UAE Team Emirates, with the team picking up honours at the Tour of the Basque Country. This time it was the turn of Irishman Dan Martin, who finished second in the General Classification (GC), 29 seconds behind eventual winner Ion Izagirre (Astana Pro Team). It was a great overall performance from Martin and his teammate, Tadej Pogacar who also found himself in the top 10 of the GC standings (finishing 6th). But it was in the Youth Classification where the young Slovenian really impressed, topping the standings by a whopping 2:08 from his nearest rival. “We were very strong throughout the stage, it was a very nice day for the team. We all found ourselves racing with great motivation, everyone had important goals and so we pushed hard to the finish line,” said a jubilant Martin adding that he could have won the final stage had Mitchelton-Scott rider Adam Yates, the eventual stage winner, not taken the edge on the last climb.